Tinder, botox, and shots. Sounds like the perfect way to celebrate your 35th birthday, right? Not quite. 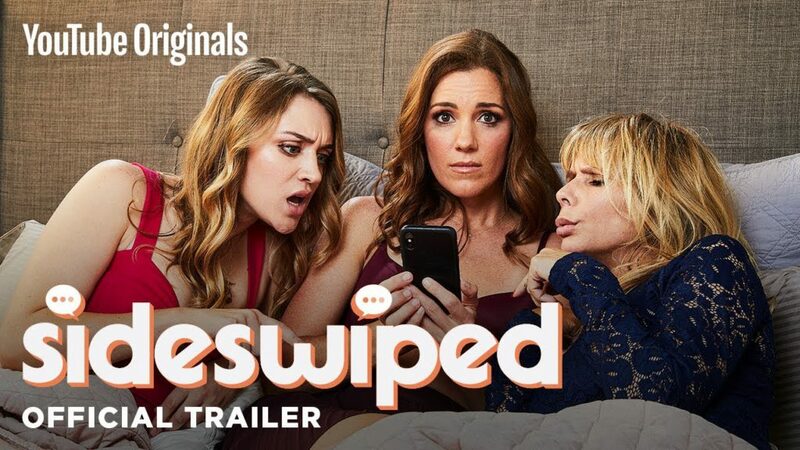 In the first trailer for YouTube Premium’s original series Sideswiped, directed & co-created by Daniel Reisinger (Infinity Squared) and featuring Carly Craig (American Housewife) who plays birthday girl Olivia who realises she’s been “swiping left on life.” Feeling like she’s been missing out, Olivia goes on a swiping rampage and vows to date all 252 of her matches — hey, we’ve all been there, right? We then see her set out on her quest dating everyone from CrossFit instructors to men who cry when kissed. It’s a humorous (yet not unrealistic) look at dating in the modern world. The series has enlisted a slew of familiar faces to play some of Olivia’s matches including Jason Sudeikis, Rosanna Arquette, Tyler Posey, Peter Gallagher, Bryan Greenberg, Thomas Lennon, Charles Michael Davis, Christopher McDonald, and Rick Springfield — for her mom! Watch the exclusive clip and tune in July 25 to see if Olivia can make that elusive real connection with one of her matches. Daniel is best known locally for his commercial work for NRMA, Transport NSW, Commbank and for dressing David Eastgate in a tutu in the Blunnie Fairy for Blundstone. Daniel is now available for local projects.